It is with great pleasure that local Plainfield real estate professionals, Amanda Albrecht and Michele Morris, welcome you to tour our website and view our featured properties and services. We specialize in real estate throughout the greater Will County and surrounding areas. From luxury living in Naperville, to the city of Joliet, to the quaint cozy feel of the villages of Plainfield, Shorewood, Minooka and neighboring regions, let Michele Morris Realty guide you through this process. Buying or selling a property is most likely the biggest financial decision you will ever make. 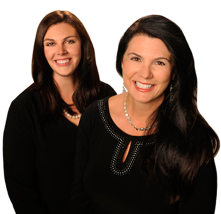 Whether you are looking to buy the home you have always dreamed of or need to sell your existing home, Amanda and Michele are ready and waiting to assist you. Let Michele Morris Realty open doors for you in these outstanding communities!